Greatland Gold plc (LON:GGP), the London Stock Exchange AIM listed precious and base metals exploration and development business, is pleased to announce final results from the recent drilling campaign at the Warrentinna gold project in Tasmania, Australia. 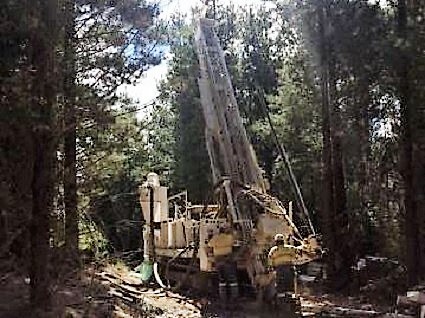 · Further surface sampling and mapping will be undertaken at the Derby North prospect to track the mineralised zone further north, followed by planning of additional drill holes. 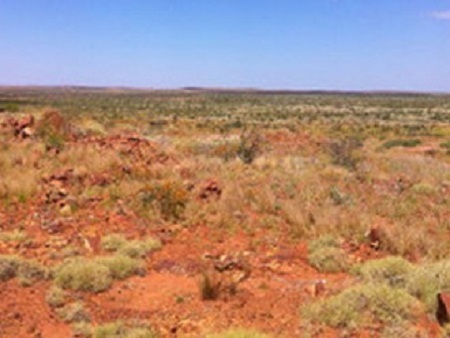 Gervaise Heddle, Chief Executive Officer, commented: ‘These final results from our recent RC drilling campaign at Warrentinna underscore our view that there is considerable scope to extend the current zone of gold mineralisation, particularly to the north and east as illustrated by the Warrentinna drilling maps that have been recently published on our website (www.greatlandgold.com). 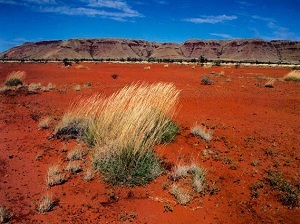 The Warrentinna project is located in north-east Tasmania and covers an area of 37 square kilometres. The project hosts several known gold occurrences, including Derby North and Golden Mara where we have intersected significant levels of gold mineralisation, some over 50g/t. During December 2016 the Company completed an RC drilling programme at the Warrentinna project (previously announced on 29 November 2016). A total of six RC holes were drilled for 596m. Each hole was drilled to a nominal 100m depth (apart from one hole completed to a depth of 96m). All holes were angled at 60 degrees. 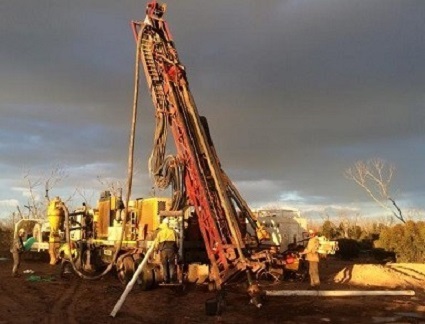 Five holes were drilled at the Derby North prospect (WTR037-WTR041) and one hole was drilled under historic workings at the Golden Mara prospect (WTR042). Initially all holes were sampled as 4m composites from surface to end of hole and geologically logged with these preliminary results announced on 31 January 2017. 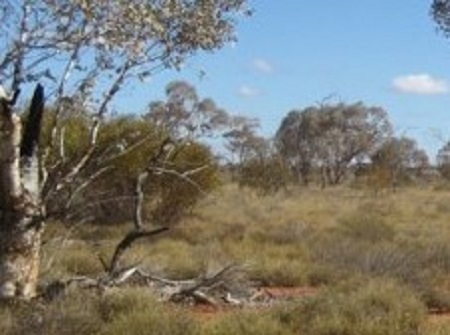 Single metre samples were recently collected through mineralised zones of interest to confirm initial results. Results in this announcement are considered final and relate to single metre samples. All holes returned over 0.5g/t gold from both Derby North and Golden Mara. Peak result was 4.68g/t gold from Derby North. Overall, single metre sample results from drilling at Derby North confirm continuity of mineralisation over the core of the prospect. 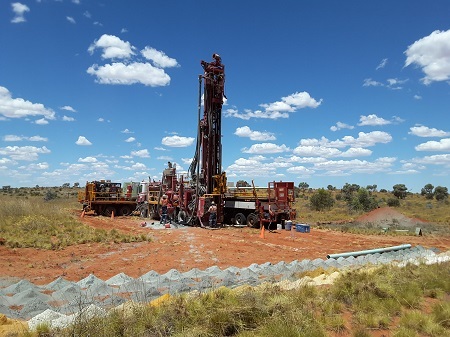 Also drilling has highlighted that that there is scope to extend the current zone as mineralisation remains open, particularly to the north and east and at depth. Intercepts from Derby North include 42m at 722ppb gold from 21m in hole WTR038 peaking at 1m at 4678ppb gold from 22m including 5m at 2444ppb gold from 21m, 24m at 443ppb gold from 21m in hole WTR037, and 4m at 2118ppb gold from 1m in hole WTR040. Overall mineralisation at Derby North is relatively shallow (starting from surface) and notably is open to the east, north and at depth. Results from single metre samples at Golden Mara (WTR042) were potentially significant when considered with previous results of adjacent hole WTR010 (2008) peaking at 2m at 997ppb gold from 72m in a broad intercept of 8m of 601ppb gold from 69m. Results of single metre mineralised zones (WTR037-WTR042) are presented in Table 1. Further work at the project will involve surface sampling and mapping at Derby North to track the mineralised zone to the north followed by planning of additional drill holes to infill and extend the mineralised zone to the north and east.